It seemed that the hospital staff seemed to miss two very important words when I was admitted to the hospital following my surgery last week: Celiac disease. Since surgery was bright and early, I was in my room before lunch. Even though I was on a liquid diet, I knew something wasn’t right. Sitting next to my red jello on my tray was chicken broth. Whoever can stomach straight chicken broth after surgery (or anythime for that matter) is beyond me. I didnt question the chicken broth in my tray for its lack of appeal to my taste buds but because I remember how hard it was last Christmas to find gluten-free chicken broth for the turkey marinade. So when the nutrition staff came back for the tray, I asked, “You know I have Celiac disease right and cannot have gluten?” In knew when she looked at me like I had fournheads that I was in trouble. You see I know for a fact that the nurse and I discussed my diet needs during my pre-op interview in which I stressed the importance of a gluten-free diet. Somehow it seems that that fact got lost somewhere between the interview room and my medical chart as there was not a single mention of Celiac on my chart. Once we made it sure that it became clearly notated on my chart (and by we I mean myself and my infuriated husband who happens to be pretty protective of his lovely wife), I started to question I was the only Celiac in the county. Since the prevalence of Celiac disease is now 1 in 133 in the US and therefore chances were that I was not alone, I was starting to understand why most people I talked to headed to Charlotte for procedures instead of staying local. No one seemed to understand what “gluten-free” meant. My night nurse seemed completely confused while the night time nutrition staff breathed a sigh of relief when the Dr said that i needed to stick to jello for the night. Hubs was making a run to the drugstore next door so he picked up some Rice Chex just in case. Eventually the head of the nutrition staff came to understand what a gluten-free diet was which meant that I spent the rest of the weekend eating plain baked chicken breasts. While I did not go hungry and thankfully avoided any type of gluten-contamination, it still baffles me to think that a medical facility could seem to be so clueless about an increasingly common medical issue like Celiac, even in a small town. The whole experience made me realize just how important awareness programs are and make me even more hopeful that this surgery will allow me to lace up my running shoes and join Team Gluten-Free for a race for Celiac awareness. If it makes you feel any better i had similar problems at the hospital in the big city. i was supposed to be on a clear liquid diet and got graham crackers with my lunch. Not very impressive care from the gluten-free point of view, was it? At least your op is over now, and I hope you make a good recovery. Reading your story has helped me feel grateful for my own good health. 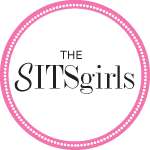 Many thanks for your helpful comment on SITS. Thanks for stopping by! Good health is definitely something to not to take for granted! I know it could have missed in the pre-op interview (English was not the nurse’s primary language so she could have misunderstood me) but how clueless the Med staff acted was what was disturbing! That is infuriating!! It is their job to keep track of that information and be on top of it!!! I’m glad it worked out for you and did not cause you any additional medical complications! Goodness. Isnt it crazy?! Thank goodness I could still think straight on the pain meds and noticed! I will definitely be talking to my Dr about it tomorrow at my post-op visit! It drives me nuts when medical professionals don’t understand medical problems. Glad you’re home, safe and recovering.